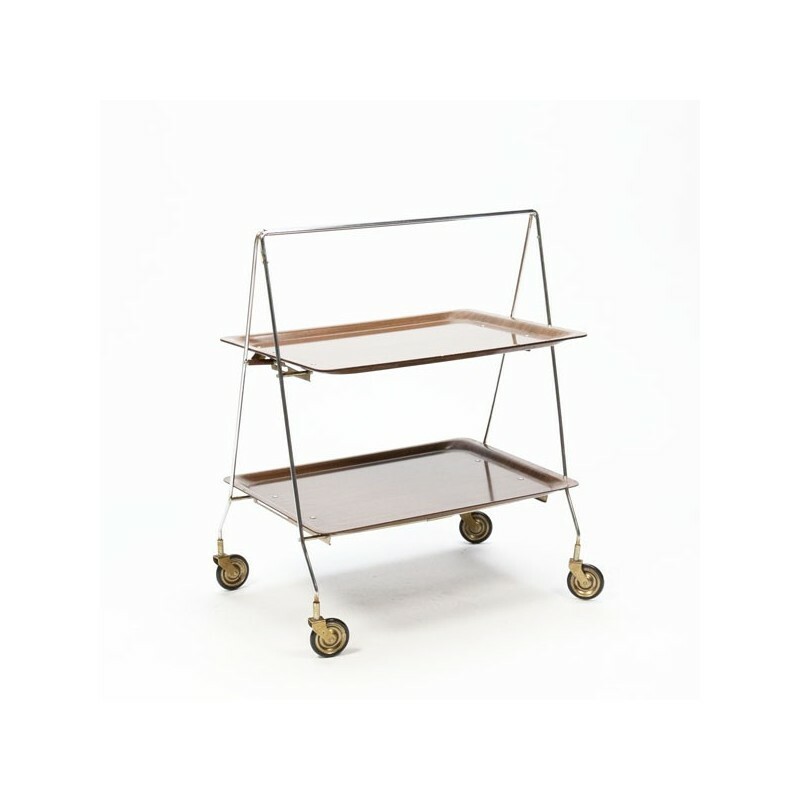 Vintage serving trolley / tea trolley from the sixties on a nice slim chrome base. The trolley has two blades (plastic with wood look) and is foldable. The condition is good, see the detail photos. 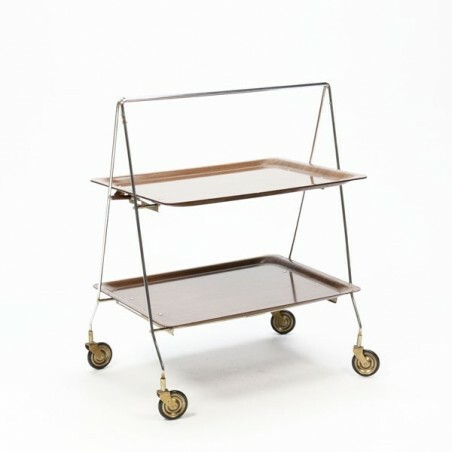 The afmeitng is 54.5 cm L / 67 cm H/ 38 cm W.